The following is an open letter sent to Fight Gridlock from Andrew deGroot, a resident of Brampton — one who has been an incredible supporter and fact-finder for the LRT project, and it’s alignment on Main St. into downtown Brampton. I know people believe they are protecting downtown by suggesting an alternate route around downtown Brampton but history tells us the exact opposite will happen. Prior to the 1940s, Jarvis Street was probably the most beautiful street in all of Toronto. 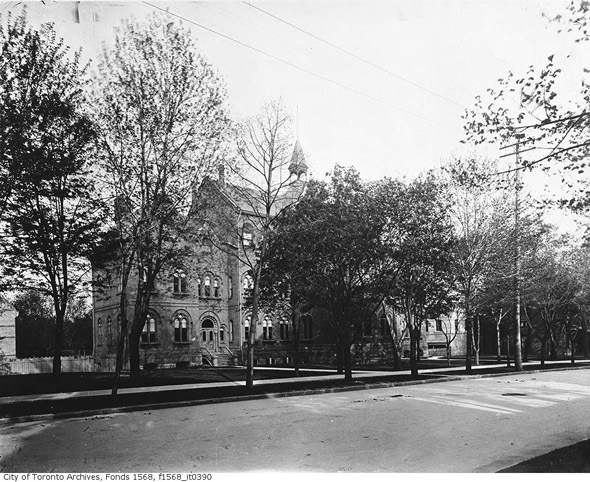 The city’s first paved road was once the grandest tree-lined boulevard around, bracketed by the mansions of some of Toronto’s wealthiest movers and shakers. In the 1940s the City of Toronto began working on a transit plan which included its first subway. Toronto debated whether to run the line up Jarvis or under the much narrower Yonge Street. Construction was approved in 1946 for the new Yonge Street line. 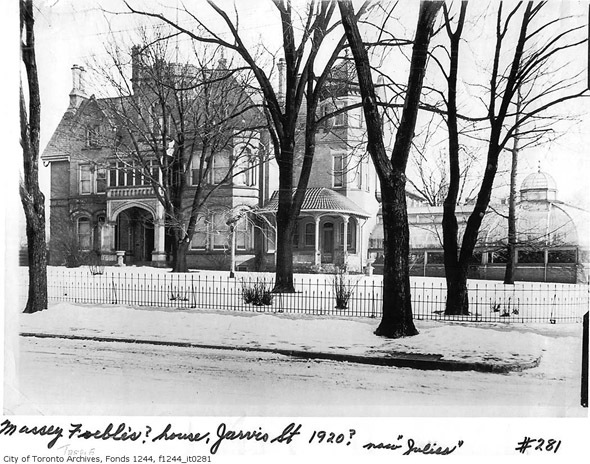 Meanwhile, the stately Jarvis boulevard was transformed to make way for the automobile. Jarvis Street was turned from a gorgeous historical thoroughfare into an urban highway, stretching from the waterfront up to Bloor. Cars on Jarvis, transit on Yonge. Fast forward to the today. Yonge Street is the economic core of Toronto with cross streets King, Queen and Bloor all boasting their own rapid transit. Jarvis, on the other hand has fallen on hard times. Known for decades as the seediest street in Toronto, it is where you go to find drugs and prostitution. Only now, 70 years later is investment starting to turn this street around, though all of the homes are gone or being used for commercial purposes. Meanwhile in Downtown Brampton, the comparisons are striking. Our quant southern entrance boasts similar large older homes as Jarvis, though almost all of the grand homes north of Wellington have been demolished or are rooming houses. Main Street is an urban highway shuttling people quickly from their jobs in Mississauga to their homes in northern Brampton or beyond our border. Downtown Brampton has the same drug and prostitution problem as Jarvis. Jarvis has Harvey’s and Brampton has the 7-Eleven. The establishment of Toronto, trying to protect their streetscape and homesteads, voted against progress and transit along Jarvis with the obvious consequences to follow. Brampton’s establishment is voicing its strong opposition to the LRT through downtown Brampton. We are at a crossroads in Brampton. We have the opportunity to build for our future or dwell on our past. Our tight grip on maintaining status quo will hinder process. Do we want Main Street to be the Jarvis of Brampton? I encourage Brampton City Council to support this project without delay. Some questions have been asked regarding the expected economic benefits of LRT on Main St. in Brampton. The studies by Metrolinx and the City of Brampton explain how. Much of the content here are from the reports. Links to reports are at the end of this article. Mobility hubs are major transit station areas. They are particularly significant given the level of transit service that is planned for them and the development potential around them. They are places of connectivity between regional rapid transit services, and also places where different modes of transportation, from walking to high-speed rail, come together seamlessly. They have, or are planned to have an attractive, intensive concentration of employment, living, shopping and enjoyment around a major transit station. To be identified as a mobility hub, a major transit station area must be located at the interchange of two or more current or planned regional rapid transit lines, and be forecasted to have 4,500 or more combined boardings and alightings in the morning peak period in 2031. In addition, these areas are generally forecasted to achieve or have the potential to achieve a minimum density of approximately 10,000 people and jobs within an 800 m radius. The primary major transit station areas associated with an urban growth centre are also identified as mobility hubs. Note: An 800 m radius is in important consideration for walkability. It’s about a 10 minute walk. Anchor hubs are primary major transit stations that are located within an urban growth centre. These hubs are expected to encompass major regional destinations, such as major institutions, employment centres, town centres, or regional shopping centres. They have the potential to attract and accommodate new growth and development and would act as anchors of the regional transportation system. Gateway hubs have two criteria: they are located at the interchange between two or more current or planned regional rapid transit lines and have a forecast combined number of boardings and alightings of 4,500 or more by 2031 for the peak morning period. Within 800 m of these hubs, the forecast density is expected to be a least 10,000 residents and jobs combined. The Regional Transportation Plan, prepared by Metrolinx, has identified five mobility hubs within the corridor. These hubs are to be major transit station areas with high development potential. There are two types: gateway hubs and anchor hubs. Gateway hubs have two criteria: they are located at the interchange between two or more current or planned regional rapid transit lines and have a forecast combined number of boardings and alightings of 4,500 or more by 2031 for the peak morning period. Within 800 m of these hubs, the forecast density is expected to be a least 10,000 residents and jobs combined. The anchor hub is key. 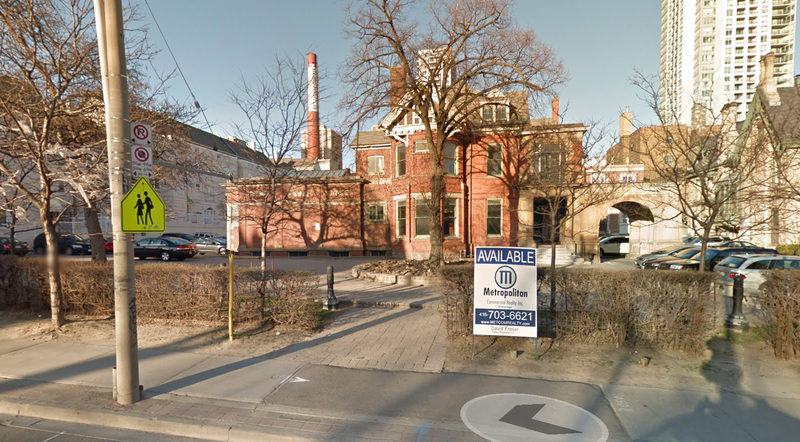 The best opportunity to leverage development potential in downtown Brampton is to connect directly into downtown. Within Brampton are 3 key character areas. 407/Hwy. 10 to Charolais Blvd. The existing population base of this area is approximately 14,600, which represents approximately 8% of the population for the entire corridor. Residential uses along Main Street are largely medium and high density, with limited single family residences fronting onto the corridor. The Brampton Gateway employment area accommodates approximately 5,000 employees which account for roughly 4% of the employment base along the corridor. Close to 50% of the employment within this area is institutional, while the remaining half is largely made up of retail and business service uses. By 2031, this area is forecast to reach a population of approximately 21,000, which represents a steady annual growth rate of 1.6%. Employment within this area is also forecast to steadily increase to 7,800 by 2031, an increase of 2,800 or 1.9% annual employment growth. The vision for this character area is to transform Shoppers World and other singleuse retail properties into a vibrant mixed use transit-oriented development. The existing transit terminal located at the southwest corner of Shoppers World has been relocated to the southeast corner so that it fronts on the corner of Main Street and Steeles Avenue. This intersection has been identified as the centre of a Gateway Hub in the Metrolinx Regional Transportation Plan and is intended to be a major pedestrian oriented neighbourhood. A secondary transit-oriented neighbourhood area, based on a predominantly office and institutional core, is to be developed between Steeles Avenue and Highway 407. Charolais Blvd. to Wellington St. The greatest concentration of non-residential development is found at the Brampton Mall site located at the northeast corner of Nanwood Drive and Main Street, with a range of tenants, including a major grocery store, a drug store chain and a bank. Downtown Brampton is forecast to experience the highest annual rate of population and employment growth of the eleven character areas, with an annual population and employment growth rate from 2008 to 2031 of 3.4% and 2.1%, respectively. In terms of growth share, Brampton Downtown is forecast to accommodate approximately 9% and 11% population and employment growth forecast for the entire Hurontario corridor. A number of studies are underway in Downtown Brampton, assessing the planning design and environmental factors to be incorporated into the vision. Another important purpose of connecting the Hurontario Main LRT to the downtown terminal is to begin stimulating development of the Central Area in Brampton, which will later be serviced by an additional rapid transit project on Queen St. This chart from the Hurontario-Main Environmental Project Report indicates the anticipated changes within the study area between the years or 2008–2031. You can see from the projections there will be considerable increases in population and jobs around the Gateway and Downtown transit terminals, with modest increases in the Heritage area. For the best chance of success, the LRT needs to connect Downtown to the Gateway. If for no other reason than the traffic a population increase of 117% will create downtown. Brampton Stands To Gain Most! The following table shows that when projections for Brampton and Mississauga are compared, Brampton stands to gain the most. In population growth, Brampton is projecting a 236,036 resident increase, or 51%, compared to Mississauga’s 89,000 (12%). In job growth, Brampton is projecting a 126,200 job increase, or 64% compared to Mississauga’s 69,000 (15%).